We are a creative, architectural and designer focused manufacturer of sustainable and recycled timber products. We collaborate with you to inspire and provide unique timber outcomes that will ignite your design. We believe in a holistic, practical approach to timber and its use in design as a key element to the success of any project. 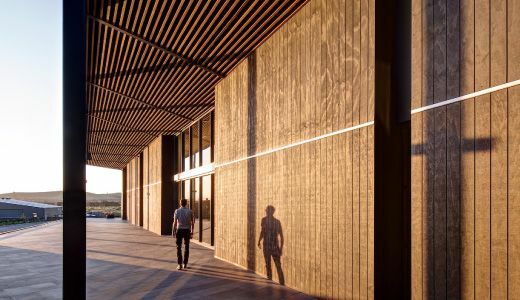 We bring to you a diverse selection of Australian recycled timber products that can impart a distinct look to your architecturally inspired project. Sourced from superior quality timber, our range is beautifully crafted to design one-of-a-kind creations just for you. They make the perfect addition and reflect timeless beauty. Our stunning range of Australian recycled timber offers the most eco-friendly option. We are well-established recycled timber specialists dealing with professional builders and architects through an exceptional range of timber solutions. Our timber products can be used to create a spectacular range of designs for domestic and commercial applications. Enhance the appeal of your space with our exquisite recycled timber products. Our products can be used to design and add an extraordinary finish to structures. With our broad selection, we can cater to the varied needs of your project. Explore our collection to discover a fabulous range of Australian recycled timber. If you wish to know more about our timber products, feel free to reach out to our team. We will be glad to assist you. The timber cladding from Eco Timber looks amazing! We love it and get loads of compliments. My new favourite cladding. Waste is minimal, fixings are strong and discreet and rarely fail. The coal like finish has a crystal black shine that just has to be experienced in all the varied lighting of the day. Thanks so much for the great customer service and quality timber for my Carlton project. It was great dealing with Jimmy and the Eco Timber Group. Looking forward to working with you guys again in the future! The wire brushed, recycled blackbutt flooring Eco Timber supplied for our recent renovation is one of our favourite features of our home. It is full of character with the added benefits of being unique and incredibly child and pet friendly. We could not be happier with our decision to engage the services of Josh and his amazing Eco Timber Team.